As the capital of the Catalonian region and the ultimate escape for bohemian artists around the world, it’s easy to see why Barcelona is an irresistible holiday destination for people from every walk of life. What makes the city so impressive is its ability to offer something for everyone; it has dozens of beaches for those in search of the water’s edge, winding highstreets for shoppers and even an incredible sporting history for tourists obsessed with football and athletics. We know that everyone is looking for different things to do in Barcelona so Manchester Airport has created this all-encompassing guide to one of Spain’s most incredible cities. Families staying in the city should consider any of the larger resorts found around the beach of Barceloneta - one of the cities safest and friendliest areas. Keep an eye out for any accommodation offering a spot on the beach as the popularity of Barceloneta can make some beaches a little crowded. Barcelona is incredibly family-friendly, as is the majority of Spain. Most restaurants expect families to bring children along, so don’t worry about having to make alternative arrangements for the little ones if you fancy some fine-dining. However, it’s still worth checking if you can bring your children when booking at any of the city’s top restaurants. Barcelona is a great place to introduce children to new flavours as well - consider visiting a traditional tapas restaurant to give the kids the chance to sample a bit of everything. While there are plenty of things to do in Barcelona for families (including many of the attractions mentioned in the other sections of this guide), no trip to the city would be complete without a visit to PortAventura World – one of Spain’s oldest and most popular themeparks. PortAventura World has plenty to offer visitors including a Ferrari section as well as Mediterranean-, Polynesian-, Chinese-, Mexican- and Wild West-themed areas. Standing in the centre of Barcelona, it’s hard not to breathe in the creativity of the city. Most streets boast some sort of artistic graffiti and there’s an impressive tradition of artists both coming from the city and finding a home within its winding roads. The best place for any visitor interested in art to stay is El Raval, a bohemian quarter famous for its street artists and electric atmosphere. While there are plenty of restaurants that have a tangential connection to one of the city’s famous artists, Barcelona’s best art cafes and bars are still used as meeting spots for the city’s art community today. Dos Palillos is a good choice as its location near the Museum of Modern Art has given it the status of an artist’s hangout, the restaurant is also beloved in the city for its food which is second-to-none and is often considered a work of art in its own right. Those with a little cash to splash should also consider the incredible Tragaluz, a classic of the Barcelona food and drink scene featuring an outdoor atmosphere and experimental culinary flare. While Antoni Gaudi might be the superstar of the Barcelona art scene, creatives looking for things to do in Barcelona are sure to enjoy a day trip to the Salvador Dali museum in Figueres where they can walk through many of the surrealist’s bizarre creations as well as seeing some of his most impressive and inspiring works. The museum is a must for art-lovers everywhere and there are bus services to and from it from the centre of Barcelona throughout most of the year. While every street in the centre of Barcelona has more than enough stores to support an afternoon shopping spree, Passeig de Gracia is the shopping mecca of the city with an incredible selection of the biggest global brands and luxury retailers, including Stella McCartney, Jimmy Choo and Rolex. There are several hotels on this street allowing you to stay in the centre of the shopping district - so you can literally shop till you drop. Shoppers looking to treat themselves after a long day of deal hunting will be spoilt for choice in the Passeig de Gracia area as there are plenty of the city’s most popular dinner spots within walking distance. If you want a special meal to end your day of grabbing deals, consider a visit to Moments – a two Michelin star restaurant specialising in mouth-watering Catalonian cuisine. Any shopper looking for things to do in Barcelona should consider a visit to Las Arenas de Barcelona. A repurposed bullfighting arena that has become one-part shopping centre and one-part museum. There really is nowhere like Las Arenas de Barcelona and it’s sure to create unforgettable memories while you browse the best from Lush, Mango, Sephora and loads more. The city’s magnificent coastline offers lots of things to do in Barcelona for beach lovers everywhere, whether you’re just looking to sunbathe or would rather have a paddle in the warm waters of the Mediterranean. Barceloneta makes for a great area to visit but if you’d rather avoid the crowds of families and other tourists you might want to consider the area around Nova Icaria a little further from the centre of the city. The beaches of Barcelona are dotted with eateries of every description so feel free to just take a walk along the edge of the sand and stop when you smell the mouth-watering aromas of Spanish cuisine. However, if you do want to book somewhere for a particularly special meal try La Carmelina - an impressive Cuban beach shack that sits on the beach and is entirely outdoors. Alternatively, you could try the Easter Islands-inspired Vai Moana. Those in search of the ultimate beach paradise should arrange a day at Ocata Beach, one of the most incredible beaches in Spain, if not the entire Mediterranean. The beach is inside of the town of El Masnou to the north of the city and offers incredible views as well as a more relaxed and secluded feel. Sports fans will find plenty of things to do in Barcelona and their first port of call should be Camp Nou, the home of FC Barcelona and the sports quarter of the city. If you want to get a real feeling of the city’s passion for their football club as well as all their other athletes, a hotel room close to Camp Nou is perfect. The area is very safe as it often plays host to visitors from all over Spain and the rest of the world. Some of the best food can be found in and around the Camp Nou area as Barcelona shows off the best the city has to offer to visiting sports fans. Browsing is a good idea - you can usually find a great restaurant or bar by watching where the local fans visit. If you’re looking for a recommendation then the popular Bodega Montferry is sure to please as the classic tavern offers delicious wine and tapas. Those who would like more of a fine-dining experience should make a booking with Tapas 24 Camp Nou, which is owned by famous chef Carles Abellan. Visitors in search of sporty things to do in Barcelona can book a bus to the Museu Olimpic I De L-Esport Joan Antoni Samaranch where they can learn all about the history of the Olympic games as well as Spain and Barcelona’s history of athleticism. With a focus on technology and innovation in the world of sport, the museum offers incredible exhibits that are sure to entertain kids and adults alike. Barcelona is an incredibly romantic city, couples from around the world are drawn in by its artistic charms and wealth of culture. If you really want to impress your partner with a break to the city, you should book a room in the historic Barri Gotic quarter – where you can find ancient gothic architecture and statues. Those who want to go the extra mile could also brush up on the history of the Catalan region so they can reel off a few interesting facts while wandering around this historic area. The gothic quarter plays host to some of the more unique restaurants and bars in Barcelona – which is an impressive claim. If you want to experience everything weird and wonderful about local culture, book a table at El Bosc De Les Fades, a bar turned fairy-hollow where you'll get lost in Spanish folklore and Latin rhythms. Alternatively, couples searching for a traditional meal should visit El Quatre Gats – a famous meeting place for artists boasting several of Picasso’s earliest pieces. Couples looking for things to do in Barcelona might want to consider a trip further afield to the city of Girona, which takes about 40 minutes on the fastest trains from Barcelona. Girona is a gorgeous city that's perfect for long walks and, because it’s less popular with tourists, offers a relaxing escape from Barcelona’s hustle and bustle. Game of Thrones fans will find lots to enjoy in the city including many of the series' most memorable locations. Stag dos, hen dos, birthday parties and any other big celebration will easily fit in with the fast-paced nightlife of Barcelona. While many clubs only start to get busy after midnight, the city’s evening entertainment is second to none. If you’re planning to book a group trip to Barcelona, look at hotels near Port Olimpic as a lot of the surrounding accommodation caters to larger parties. The Port Olimpic area has seen a lot of development in recent years which has led to the creation of several award-winning bars and restaurants, chief among these is Ice Barcelona – an unmissable ice bar specialising in incredible sculptures and freezing cold drinks. Once you’ve chilled out at Ice Barcelona consider following it up with a visit to Opium, one of the city’s most popular nightclubs that has played host to the likes of David Guetta and the Black-Eyed Peas. There are loads of things to do in Barcelona for parties visiting the city, including hot air balloon rides, boat tours and much more. However, one of the best days out for large groups is Indoor Karting Barcelona where you can race against each other in an intense two-tiered go-karting course before fighting in an incredible Star Wars-themed laser tag battle – an absolute must for stag parties. Barcelona is famous around the world for its incredible Latin beats and dance music. No matter which genre of music you enjoy, you’re sure to find plenty to do in any part of the city. 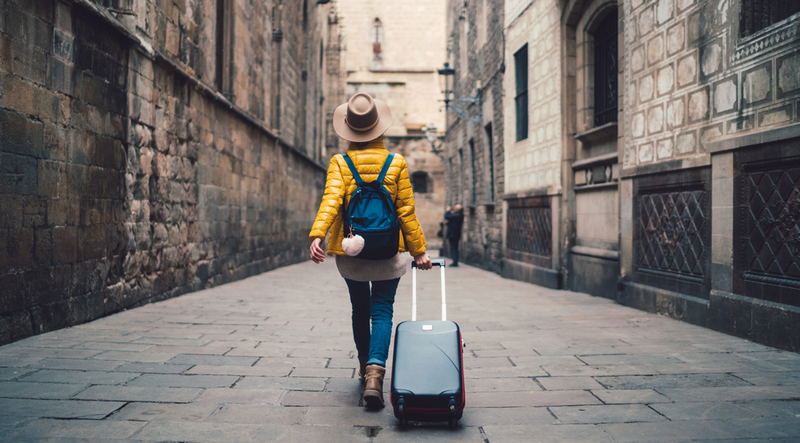 However, if you want the ultimate musical getaway, you should consider staying at one of the boutique hotels in the Las Ramblas area of town which plays host to many of the city’s performers. Musicians will be in their element visiting the many restaurants and bars of Barcelona as it’s common to be treated to live music while you dine. If you want a real music experience, it’s well worth visiting the Hard Rock Café in the centre of the city where you can enjoy a delicious and varied menu. Musicians in search of a more traditional Spanish meal should book a table at Lulu’s – a well-known musician hot-spot in the heart of the city. The Palau De La Música Orfeo Catala is a titan in the world of classical music and is worth a visit for anyone with a musical passion looking for things to do in Barcelona. While still an active concert hall the Palace De La Música Orfeo Catala also hosts tours, which gives a behind the scenes peek into the lives of both modern classical musicians and their forbearers. The tours include a short performance of famous piano pieces, a fantastic addition to any musicians Barcelona holiday. We hope this guide has helped you find some fun and exciting things to do in Barcelona. If you need any more information you can check out our other articles about what’s happening in Barcelona in 2019 and the music festivals the city is famous for.